NFL fans, meet your number one NFL 2010 draft pick. The St. Louis Rams selected Sam Bradford with the first pick in the NFL Draft. 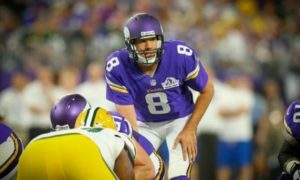 Check out this Sam Bradford video featuring highlights of the number one NFL draft pick and judge for yourself. 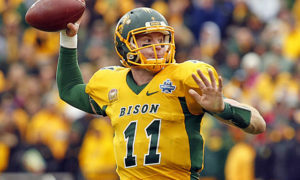 The former Oklahoma Sooners quarterback will have a tough task at hand in revamping one of the worst offenses in the NFL. The St. Louis Rams had the overall 29th ranked NFL offense last season which means they were the fourth worst offense in the entire league. The Rams were also ranked 28th overall in passing. The decline has been steady since the dismantling of the Greatest Show on Turf. Only two quarterbacks drafted #1 since 1990 have played in the Super Bowl, and only Peyton Manning has won the big one. The odds are greater that Bradford won’t be bringing another Super Bowl back to St. Louis. However, Rams fans should get pretty excited about seeing one of the most electrifying quarterbacks in college history behind center this season. Pre-order EA Sports NCAA Football 11 video game.